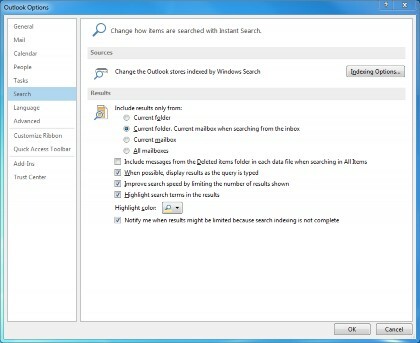 Within Outlook occasionally the search function will not work correctly and you will not be able to search for emails you can see from browsing through your emails. The resolution for this issue is the Indexing of your mailbox. As seen above Indexing Options is available within the Control Panel. 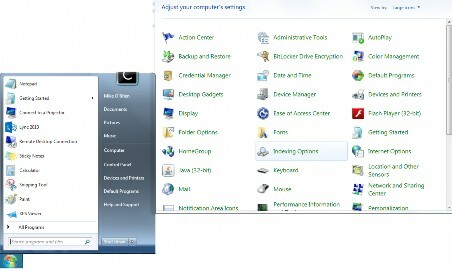 If you are unable to see this try changing View by: to Large or Small Icons. 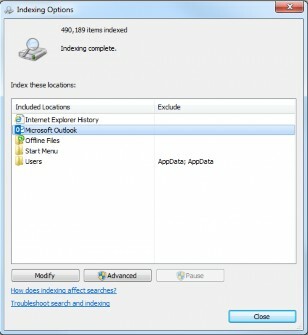 If you continue to struggle you can type Indexing Options inside the Search bar in the top Right above the View by: option. 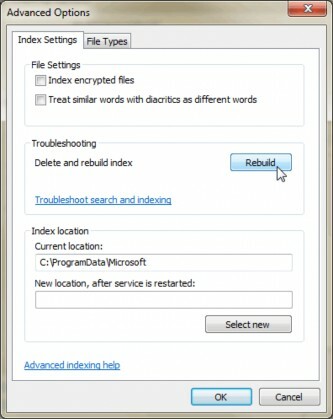 Inside Outlook 2010 and 2013 you can also access indexing options through the below steps. When the above window is open please select Rebuild to begin this operation. This is a lengthy process depending on the size of your mailbox and it is advised this is arranged with that in mind.